The nineteenth maintenance release of GnuCash 2.6 stable series was announced 2 days ago. 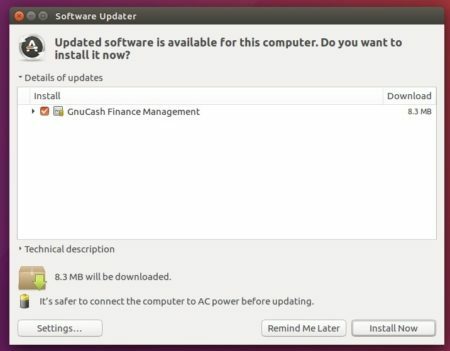 Here’s how to install it in all current Ubuntu releases. For Ubuntu 16.04 and higher, GnuCash now is available as Snap package (run in sandbox). Simply search for and install it from Ubuntu Software (need login with Ubuntu One account). For those who prefer traditional packages, you can install GnuCash 2.6.19 from the unofficial PPA, since the getdeb repository has not been updated for a period of time. Input your password (no visual feedback) when it prompts. Ubuntu 16.04, Ubuntu 17.04, Ubuntu 17.10, and Ubuntu 18.04 are supported.